Knocker & Foskett was founded in 1730 and is the longest established and one of the largest law practices in Sevenoaks, offering an extensive range of legal services to commercial and private clients. We enjoy an outstanding reputation in the local business and professional community. Over the years we have grown significantly and now, in addition to the partners, lawyers and solicitors the firm includes a large team of support staff who combine the highest standards of professionalism and efficiency with a friendly personal service. We provide all the attention normally associated with a provincial practice and yet we are only a short distance from the City. Knocker & Foskett occupies The Red House on the south side of the town, one of the most distinguished buildings in Sevenoaks. 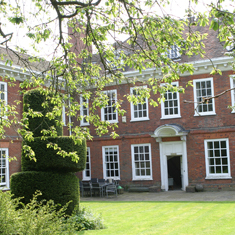 The house (which is Grade II* listed) was previously owned by the family of Jane Austen and records show that the novelist stayed there during the summer of 1788.